There is an oft repeated argument, embedded in the UK's national dialogue about the ongoing conflict in Iraq, that goes something like this: "Saddam kept Iraq stable, when we deposed him we created the sectarian conflict which killed hundreds of thousands of Iraqis. Al Qaeda filled the vacuum he left and when we defeated them Islamic State filled the vacuum they left. Destroying Islamic State will just lead to another group replacing them and the cycle will continue ad infinitum." The people that make this argument, and variations of it, tend to sum up Saddam's rule with a single word: stability. To them I would ask where this fictitious "stable Iraq", that Saddam was apparently responsible for, was in 1968 when the Ba'ath party seized power in a military coup, or when they invaded Iran in 1980, or Kuwait in 1990, or when the government was busy alternately butchering the Kurds and the Shia up to 2003. The fact of the matter is that, to keep the Sunni minority in power, the Ba'ath party headed by Saddam relied on a tremendous amount of violence. The Iraqi government didn't flinch from using poison gas and helicopter gunships on civilians if it meant they remained in power. It is unsurprising then that once the Ba'athist regime was deposed the newly empowered Shia majority would not be good friends of the Sunnis who had once backed Saddam. The dictator built a powder keg by dividing and ruling Iraq for a quarter century, which promptly blew up once he was deposed. 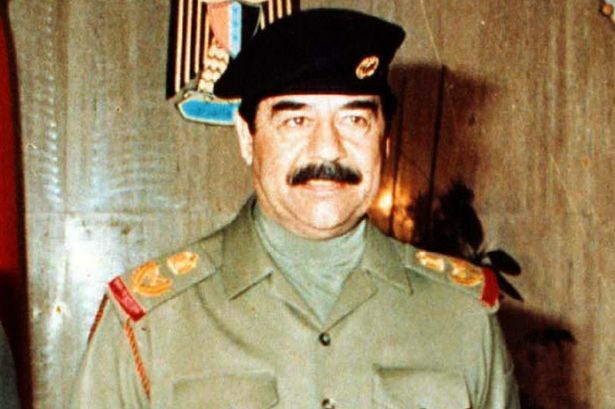 I suggest that Saddam deliberately positioned himself as the strongman who could hold Iraq together, while simultaneously dividing it so it needed holding together. Now we are presented with a vision of Iraq's future without the 2003 Anglo-American invasion. In Syria a similarly brutal dictator, who divided and ruled his population and kept dissent in check with extreme repression, now "governs" a third of a failed state, currently tearing itself apart in a vicious civil war. Sooner or later this is where Saddam's "stable Iraq" would have ended up: a failed state at war with itself. Very few people pause and consider the possibility that what happened in the wake of the 2003 invasion was among the less bad outcomes after a quarter century of Saddam's rule. I did not intend this to be a polemic on the evils of the Saddam regime, but rather an examination of the roots of the Islamic State. However, in the opinion of the author, the two are inextricable. In the 12 years since the Ba'ath party's removal from power, elements of the Sunni community have made concerted efforts to win back their minority rule by force. By disbanding the Ba'athist army the Americans inadvertently dumped thousands of dispossessed trained soldiers into Iraqi society, which undoubtedly fuelled the insurgency. More importantly though "de-Ba'athification" saw the forced retirement of senior members of the Iraqi military and security. Many of them went on to become part of the core leadership of Al Qaeda in Iraq (AQI). Following the bombing of the Al Askari mosque in 2006 AQI and other Sunni militias made a concerted effort to ethnically cleanse Baghdad of the Shia. Their attempt backfired horribly for them, by 2008 Baghdad's Sunni population had lost the sectarian contest and were concentrated in a small enclave on the West side of the city. 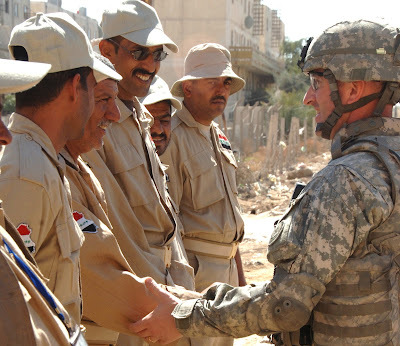 The genius of the so called "Tribal awakening", in which prominent Sunni militias switched their allegiance from AQI to the United States forces, was that Sunni leaders could use the US forces to pursue their own agendas and shield them from the worst of the retaliatory sectarian violence. Indeed it is likely that the Sunni alignment with the Americans, and the"Sons of Iraq" initiative, saved them from being driven from the capital completely. Intercommunal violence decreased so dramatically after 2008 largely because the process of ethnic cleansing in the capital and elsewhere was almost complete. Once mixed communities had become geographically segregated during the 2006-2008 insurgency. annihilation in Baghdad after 2008. What we have witnessed in Iraq after the 2003 invasion are the protracted death throes of Sunni minority rule. That community first turned to AQI to advance it's agenda; and after the departure of the Americans in 2011, and the implementation of increasingly sectarian policies by the Maliki government, they turned to the Islamic State. It is difficult to assess but the degree to which the experience of ex-Ba'athist officers underpins the military capability of IS cannot be understated. What is far more certain, however, is that their "caliphate" uses a near-identical copy of the Ba'athist security apparatus with some Islamist flavour added to it (as detailed in this article) to control it's population. Ba'athist officials have underwritten the ability of both AQI and IS to operate effectively in a military capacity. It is probably fair to say that without their expertise and experience both of the groups would be far less dangerous. What the West is currently dealing with is the fallout from the inevitable collapse of an unsustainable system of Sunni minority rule, dating back to the time of the Ottoman Empire. Saddam demonstrated the sheer level of violence necessary to sustain this system, where ~25% of the population ruled over the other 75% with an iron fist. In the author's view the recent failure of the equally vicious Assad regime, based on a similar system of minority rule, has demonstrated that sooner or later Iraq would likely have collapsed in a similar manner. It is probable that this would have happened sooner or later, with or without the US led invasion. Much of the suffering Iraq has experienced after 2003 can be laid at the feet of the leaders of that country's Sunni community and the remnants of the Ba'ath party. Their refusal to accept that the system of minority rule, only sustainable because the Sunni government had control of a ruthless and powerful security apparatus, has come to an end. Until they find their place within the new Iraq the country will continue to bleed. The "equally vicious" Assad has defeated your Brutish mercenaries and your Amerikastani overlords, and has the support of the overwhelming majority of the Syrian people.